Form, place, compact and finish with one machine and no motor! 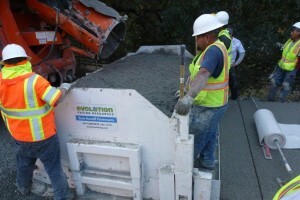 The TRAILrider Slipform Paver is unique in that it is towed behind a concrete truck or other piece of equipment. 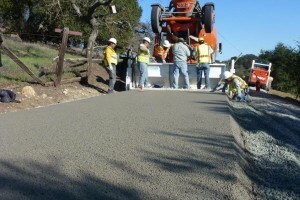 It forms, places, compacts and finishes as it is pulled and although some minor handwork may be needed, the majority of the work is done for you. 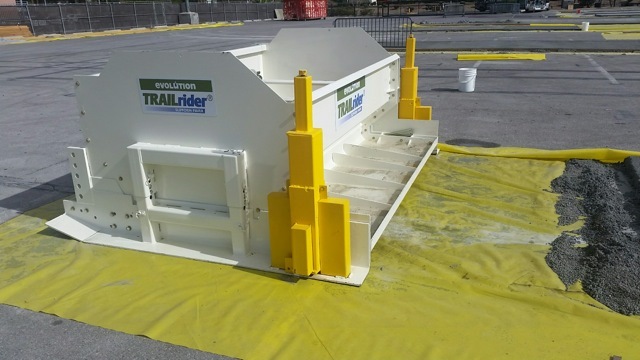 The TRAILrider requires no motor and has very few moving parts yet is extremely versatile. 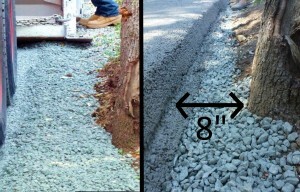 This unit bolts together to allow for widths from 4' to 15' and will pave between a 3" and 8" in depth. Lightweight and mobile, can easily be loaded on a truck and moved with a loader. 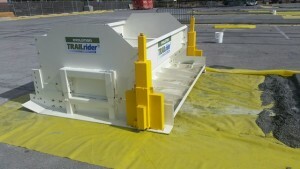 The TRAILrider is loaded directly from the concrete truck and pulled. The weight of the concrete in the "hopper" compacts while extruded concrete is placed as the TRAILrider is pulled. 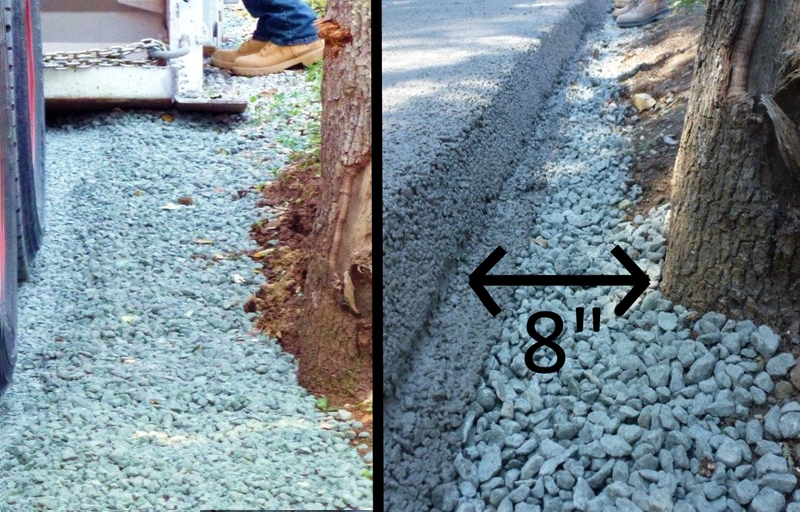 High or low ruts in the base are leveled via the front grade screed to give a smooth, even concrete depth. The unit follows directly behind the tow vehicle and will even track straight at heavy angles. Once perfected the unit can empty trucks in minutes with only minor touch-ups before it can be covered or tooled. 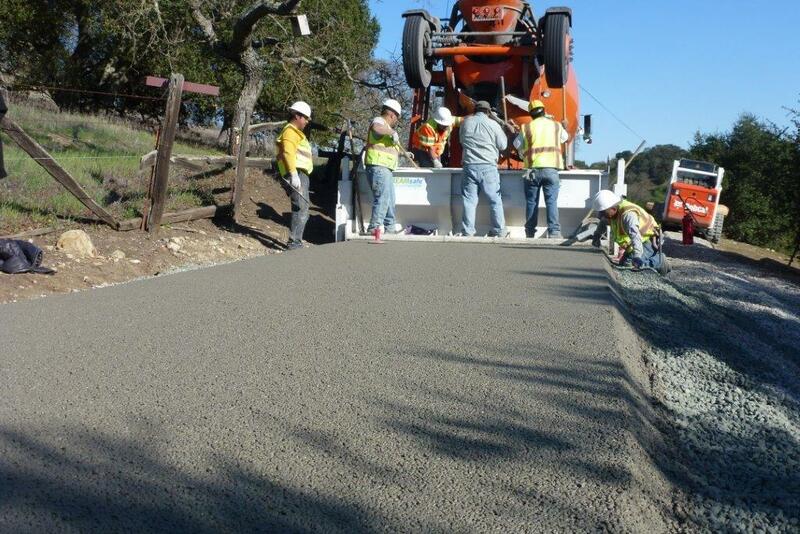 Use the TRAILrider for BOTH standard concrete or pervious concrete.